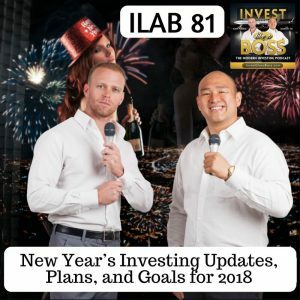 Invest Like A Boss podcast hosts, Sam Marks and Johnny FD, have been discussing new ways to invest money all throughout the year. They are entrepreneurs who find new investment strategies for their hard-earned money. As another year starts, they share updates on their investments and how their money grew over the years. On this episode, Sam and Johnny reveal the changes in both their assets from various investment platforms they ventured in. They also share their investment plans and goals for 2018 as well as the lessons they learned from the previous year. Sam and Johnny give away tips and strategies on how to increase your net worth. Also, check out the books that they recommend that will surely help you grow financially. Let’s welcome the year with new lessons, new plans, and new goals! Listen to ILAB 81 on iTunes here or subscribe on your favorite podcast app. 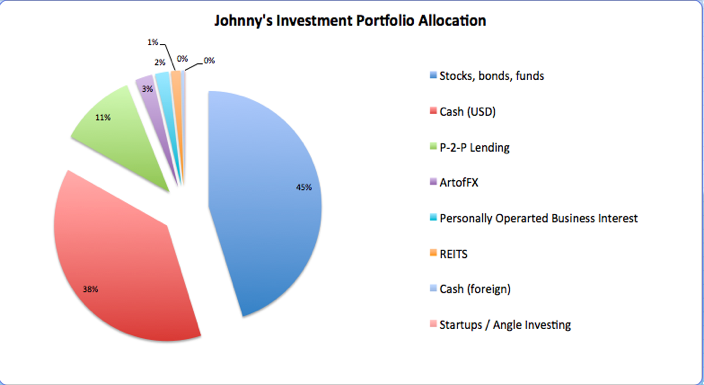 We ended the year with the above portfolios, Johnny’s focused on building wealth, and Sam’s focused on preserving capital. Johnny is heavily weighted in stocks where he can grow wealth and enjoy long-term capital gains (15% tax vs. 39% ordinary income tax), while keeping cash readily available for great investment opportunities. 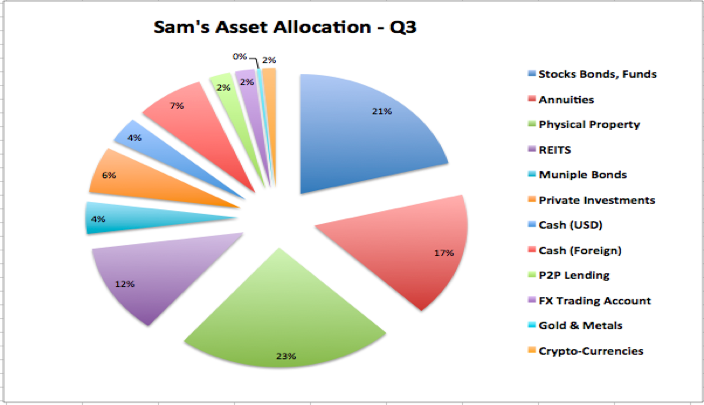 Sam is invested across many asset classes to get more uncorrelated investments (reducing drawdown) and generating multiple streams of income. All in all, propelled by the stock market being up big, it has been our best investing year thus far. We have applied the principles and lessons learned through 80 episodes and definitely made smarter investing decisions. Some Big Winners This Year! ArtofFX, up 20% – ArtofFX continued to be one of our leading investments finishing the year strong, with its 3rd straight year of double-digit returns. Run by the lead traders Brian and Teng, ArtofFX was Johnny and Sam’s first true alternative investment and has had handsome returns. Check out episode 69 for an update on their company and the FX world. Bitcoin, up 1500% – it’s crazy to be speaking of returns of this scale, and it’s definitely not typical, nor is it a typical asset class. Anyone investing and holding crypto-currencies this year likely did very well as did Sam and Johnny. Vanguard, 16% – Johnny’s Vanguard account, which is weighted heavily in stocks, had a great performance this year. 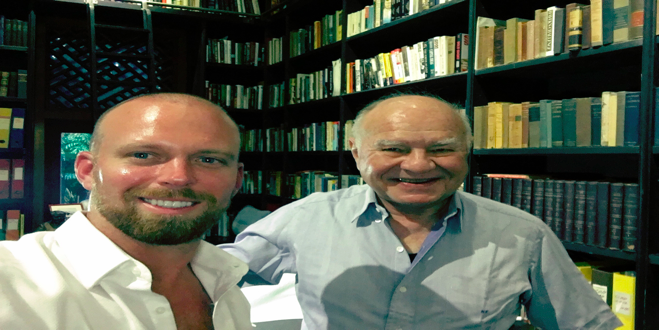 Johnny was able to craft a profolio of index funds through some of our early episodes on asset allocation and has been able to stick with this strategy as a long term plan. MapleTree REITs, up 30% – Sam’s MapleTree Logistics (and) Industrial REITS were both up 30% respectively while paying a healthy dividend of 6% along the way. Totalling more than 5% of his total investable assets, these were big earners this year. PeerStreet, up 9.5% – Johnny’s account had its 2nd great year in the row. We particularly love this as the durations are short so that there is always principle being paid back, interest payments arrive monthly, and they have never experienced a loss of lender principle. Wealthfront, up 21%. Sam’s Wealthfront account outperformed his Vanguard and personal trading Etrade account. 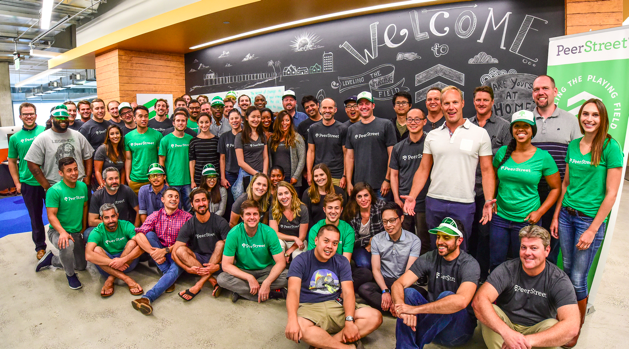 There is definitely a lot under the hood at Wealthfront and we recommend this for buy-and-hold investors, especially less experienced investors. Fundrise, up 9% – the guys Fundrise accounts continued to perform paying out quarterly dividends and growing appreciation in the fund’s NAV. We love this investment but will not be able to fully evaluate it until our principal is repaid in the years to come. **we’ve also had some big wins in our alternative and private equity investments. Stay tuned to our New Year’s episode coming out next week to hear some of these in full review. If you are looking for some new investments in 2018, you may use our links below and get preferential offers to some of our favorite investments while also supporting the show! Like it, love it, or hate it, Crypto-currencies were by far the hottest topic of the year. Some of our listeners become financially independent this year with his asset class alone. We recorded some great episodes to stay current on what is happening in the industry. In 2017, we recorded 35 new episodes, and were able to get on some of our ILAB bucket list guests. Outside of our Cryptocurrency episodes, here were some of our most popular episodes this past year. 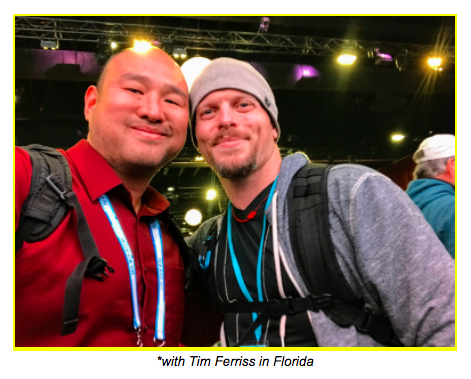 It was another whirlwind year in our personal lives being location independent. A mixture of loving new places and adventures, along with not having a better idea of where to setup a more permanent base fueled another year of passport stamps accumulation. Thank you all for your support, and if you have any ideas or suggestions please write us at info@investlikeaboss.com, otherwise, we will speak to you all in the Boss Lounge!